In order to follow up its graduates and communicate with its students, Kuwait International Law School seeks to establish a special club for graduates soon after graduating the first batch of its graduates, whether those who have successfully engaged in various legal professions, or those who are still waiting for the right opportunity to choose the job through which they can achieve their dreams and ambitions, or even those who have chosen to complete their higher education. KILAW’s graduates shall be the first nucleus of this club, which is meant to be a space of harmony, fellowship and friendship between those who have spent years together, studying and sharing ambitions, aspirations and the desire to excel and even compete to achieve academic success, practice their hobbies and gain experiences through student elections which will be their gateway to the world of democracy along with integrity and transparency.. In order to strengthen cooperation and communication with the School’s graduates, the Alumni Club is the field for meeting and exchanging experiences and advice among the graduates themselves and between them and the School administration. This helps in monitoring their affairs and guiding them toward appropriate solutions to their professional problems according to the available possibilities. We also want this club to be an renewable spring that spreads the values ​​of patriotism and good for others, the spirit of the one family that serves as the society’s safety valve, promoting the values ​​of justice and the rule of law, respecting the principle of legality, spreading legal awareness and legal culture among different groups of society, abiding by, maintaining and consolidating the ethics of the legal profession through organizing a series of cultural, academic, social, sports and voluntary activities aimed at developing relations between the School and society, and achieving more fusion and harmony among our graduates who have always been the source of our pride. 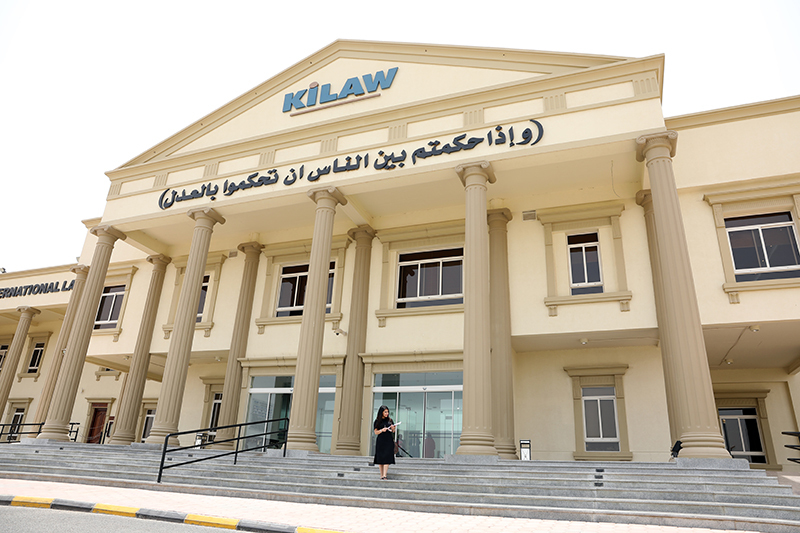 The Alumni Club aims to unite Kuwait International Law School graduates in the academic programs that the college offers. Club members are Kuwait International Law School graduates who are interested in joining the club. The club is managed by a board of directors composed of 5 members of the alumni who are appointed to this position by the college administration. Maintain communication with Kuwait International Law School alumni and the exchange of professional expertise. The organization of programs which support the vision and objectives of the college, in disseminating a legal culture and contributing to society through spreading the values of justice. This in addition to respecting the principles of legality and the rule of law, as well as abiding by, maintaining, and consolidating the ethics of the legal profession. Providing a role model for the college’s students. Providing moral support to club members in their professional fields. The college administration has assigned an annual financial budget to the club, which is to be dispensed in accordance with the rules and regulations set by the college Finance Department. The club’s board of directors is also encouraged to seek out financial support from corporations and institutes that have been approved by the college.